An older illustration I did before getting hired by Dreamwave to work on CG colors for their Transformers comics. 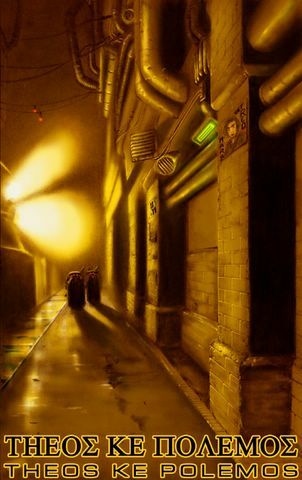 This was part of a series of noir influenced images I did in pencil, then coated in polyurethane, images I later took into Photoshop and rendered in CG color. The look I wanted was this amber night wash of light, neo future noir. The shoot, as you see from the photos, yeilded a look and feel quite like this.